Van Blog | Latest Van News | Industry Tips | Did You Know? This week brings the news that Toyota have finally announced their return to the van market with the forthcoming launch of the new Toyota ProAce medium sized panel van. 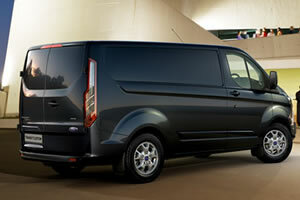 The Ford Transit Custom has Arrived! Pay your Supplying Dealer Directly - OUR SERVICE IS FREE! FACTORY ORDER | EX-DEMO | PRE-REG | LEASE - We've Got the Lot! CHEAP FINANCE | FULL WARRANTY | UK-WIDE DELIVERY - You've Got the Lot! WHAT Deals do you Offer? 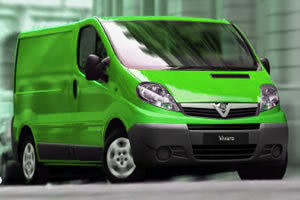 We can get massive discounts on all vans available to buy in the UK market place today. This includes both physical stock and factory order vehicles, as well as dealer pre-registered vans, ex-demo clearance vans direct from main dealerships and contract hire or business lease vans. Please note however, that we only deal in vehicles from the UK market place. None of our deals are for 'imported' vans brought into the UK from abroad. WHO are Just Click 4 Vans Then? We are a team of commercial vehicle sales and marketing professionals who act as van brokers. We work on your behalf to secure the best commercial vehicle prices available from our network of partnered main dealers. Our industry reputation, together with the sheer volume of orders we place each year, allows us to negotiate larger discounts for you, our customer. Buying through us is cheaper than buying from your local van dealer independently. The vehicle is, however, identical in every other way. HOW do I Proceed Once I've Found the Deal I Want? 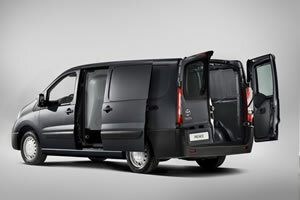 We try to make ordering your new van as simple as we possibly can. Once we’ve found the right deal for you and you’re happy to proceed, we’ll forward our order form for completion. We’ll detail the van, its specification, whether it’s new, used, demo or pre-registered and the final agreed price. All you need do is add your details, the delivery address, sign and return. We forward your order to the supplying dealer or lease company and they will then contact you to finalise all the arrangements. Not sure which van model you're looking for? Try our new van selector out. Search by van type, wheelbase, fuel type, size or even price. The more options you select, the narrower your list of matches. Once you've got a short list, load them into the van comparator and click check availability to receive delivery information for each of your choices. Easy. WHEN is the Best Time to Order my Van? RIGHT NOW! If you see a cracking deal on our website, let us know you're interested straight away, don't delay. Our prices are so cheap because a lot of our best deals are short-lived. What you see today may well be gone tomorrow. If we know you're considering a deal, we can use our leverage with the dealer to at least try and hold it for you until you're ready to fully commit. He who dares! © Just Click 4 It trading as Just Click 4 Vans 2005-2019. All rights reserved.